In part one of this interview, Kristine, a 22-year-old senior at ERAU told us what path she took to get to Embry-Riddle Aeronautical University. Now let's take a look at what lies ahead after the diploma. World of Flying: What kind of major/minor and classes are you taking? Kristine: I want to have a broad range of career options when I graduate, so I’m pursuing a degree in Aviation Business Administration, with minors in Aviation Safety and Flight. The aviation business major is basically the same as a normal business major, but it has a strong emphasis on aviation. Professors really try to relate basic business principles to jobs in airline or airport management, or other aviation-related jobs. I've learned a lot in my business classes. I've interviewed airport managers and met with one of the top managers at Boeing. The aviation safety classes have truly been the most interesting classes I've ever taken. My professor is often quoted in news articles after aircraft accidents, such as the recent Air France crash, and he has experience investigating them. The Prescott campus also has a "crash lab," which uses actual aircraft accident wreckage that is placed in a natural setting, and recreated to look the way that it did when NTSB investigators arrived at the scene. 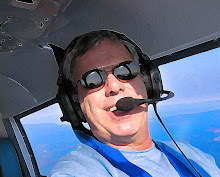 World of Flying: Tell us about your flight training course work. Kristine: The flight minor is essentially the same ground school and flight courses that everyone who flies takes, regardless of their major. The way the curriculum is structured at ERAU allows students to choose whether they want to pursue a single engine training "track" or multi track. By choosing the single engine track, students complete their private pilot and instrument training in the 172. They then complete the commercial course in the 182RG, and finally the multi engine commercial add-on rating in the Seminole. The multi track exists so that students can leave here with more hours in the multi engine airplane. They do their private training in the 172, but then complete a multi engine add-on to their private certificate. They then do their instrument and commercial training in the Seminole, and finally a single engine commercial add-on in the 182. This ends up costing much more because the Seminole rents for about $100 an hour more than the 172, so the instrument training is very expensive. World of Flying: What career are you hoping to have upon graduation? Kristine: My ultimate goal always has been, and still is, to fly for the airlines. But right now I'm keeping my options very open because there is no way of telling what will be available when I graduate in 6 months. I'm hoping to have my CFI rating and get a job as a flight instructor, but I know times are tough and most flight schools aren't hiring. If flying is not an option then I would like to explore other career fields. 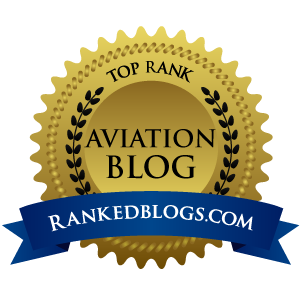 I'm interested in general aviation airport management, aviation safety and accident investigation, and general aviation advocacy. So, I might choose to explore other career fields immediately upon graduation, but I will continue flying and building hours no matter what I choose. I am confident that no matter what, I will eventually be able to say that I am an airline pilot. World of Flying: What is life like on the ERAU campus? Is it a crazy party school, or is everyone more serious because it is an aviation university? Kristine: I would say this campus is a mix of people that want to party all the time because they just moved away from home, and people that really couldn't care less about partying. The general stereotype on campus is that the pilots never want to do anything but party, and the engineers have no social life or time for anything but homework. I have to agree that this does apply to some people, but for the most part people are more serious. There really aren't very many parties, and it's usually just smaller groups of friends that get together. For me, Prescott is more of a place for outdoor activities. If you want to move to Arizona and party, you'd be much better off at ASU! World of Flying: What are the ages of the other students? And, what kinds of things do you and your fellow students like to do in your off time? Kristine: Most students are in the typical 18-23 year old range. There are some older students that have returned to school after serving in the military or pursuing another career. In my opinion, these are the people that are most passionate about aviation because they've decided to come back. But everyone here, at least in my degree program, is very intelligent and many of them have had internships and jobs in aviation already. Prescott is more of an outdoor activities type of place. There are lots of great trails for mountain biking and hiking, and a few small lakes for fishing or kayaking. Las Vegas and Phoenix are fairly close to Prescott, and it's pretty easy to go there on the weekends. Skiing and snowboarding at Flagstaff is also fairly close – about an hour and a half northeast of here, and the Grand Canyon is about two hours north. World of Flying: Tell me one thing about ERAU that the public does not know. Kristine: You do not have to be an Aeronautical Science major (the degree for those who want to be professional pilots) to fly at ERAU! The school does not like to tell people this for some reason, and most people are not aware that there is flight minor. Students can choose a degree in a completely different field, like business or global security, and still receive the same pilot training! All one has to do is register for the ground school and have the proper prerequisites – you don't even need to declare the minor if you don't want to. World of Flying: Describe one thing that ERAU does better than any other school you could have attended. Kristine: It allows students the opportunity to make the most of themselves and pursue their dreams. The school has so many resources available, and most of the professors are here to help students in any way that they can. Students help each other out, and can discuss a similar passion. That's what really sets ERAU apart, is that every single student here has some sort of passion for aviation. It makes for a very unique atmosphere, and one where I think everyone feels connected.